One of the funkiest records ever from Akira Ishikawa and his Count Buffalos band -- a hip little groover that stands head to head with some of the best funky jazz from the US and Europe of the time! Despite Akira's earthy look on the cover, the record's got a relatively electric feel overall -- thanks to some sweet electric piano from Hiromasa Suzuki and organ from Norio Maeda -- both of whom work together on most numbers, with a great sense of flow between the keyboards! The rhythms have some Latin and African percussion added on the bottom, which gives the grooves a nicely chunky feel -- and some cuts have some sharp-edged tenor solos from Takeru Muraoka, who further deepens the soul of the set. 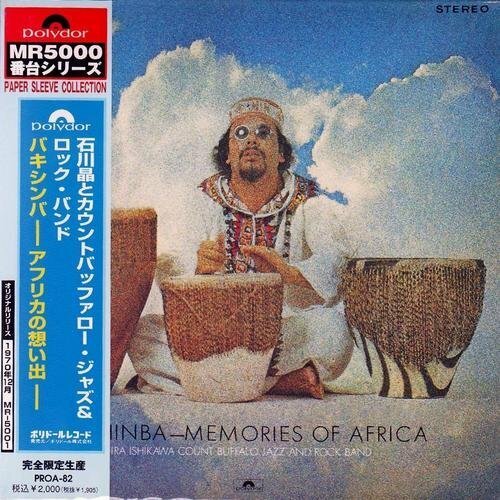 The album's a really tremendous one through and through -- as righteous as a lost American funky fusion set from the early 70s -- and titles include "African Deer", "Sunrise", "Sandstorm", "Blue Soul", "Bakishinba", and "Mirage".